Ryan Road Planing provide an exceptional service with our fresh fleet of machines. Our machines are not more than three years old which gives our customers the peace of mind of reduced delays on site. Our cold milling machines are used for the quick, highly efficient removal of asphalt and concrete pavements. In doing so, they create an even, true-to-profile base for the construction of new surface courses of uniform layer thickness. 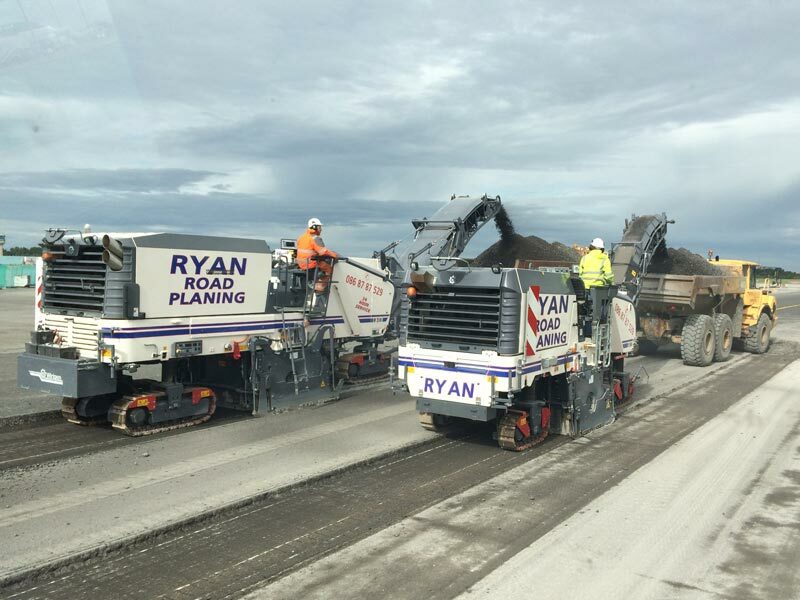 Ryan Road Planing Service have fleet of Wirtgen Road Planing Milling Machines ranging from 1 metre to 2 metre. The Road Planers are accompanied by 6-8 wheel tipper trucks and Scarab Road Sweepers where required. The Wirtgen Road Planers offer accurate milling of tarmac/hra, profile planing as required, trench reinstatement, precision milling or base courses in preparation for wearing course, etc. Ryan Road Planing Services staff have been highly trained and certified and all machines are safety certified. We have worked with all the main contractors throughout Ireland on the motorway upgrades on the M1, M7, M3, M6, M50 and the Port Tunnel in Dublin and the Limerick Tunnel. Our work is also on smaller projects including housing estates, primary and secondary roads. 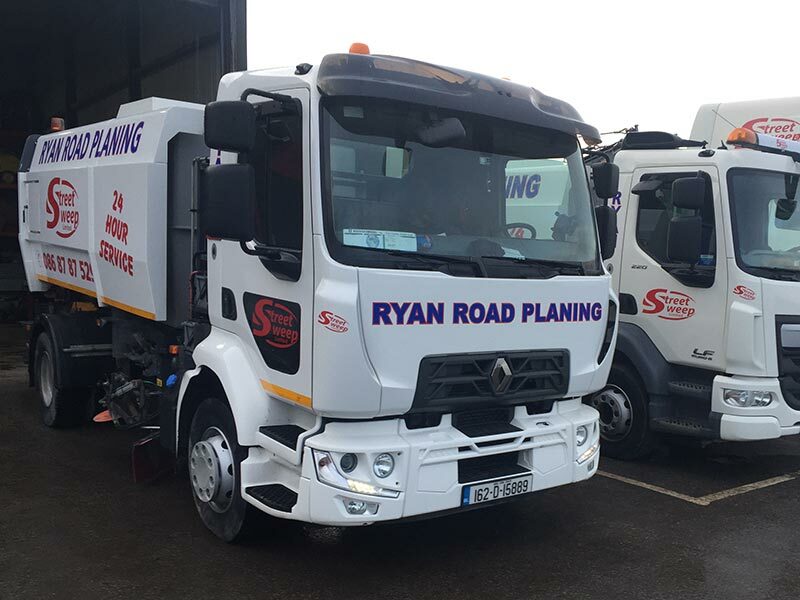 Ryan Road Planing Services can cater for all your road planing requirements and have the expertise and machinery to carry out any project you have. Ryan Road Planing Services have a fleet of Scarab Magnum Road Sweepers, we offer a 24 hour, 7 days a week service nationwide. Our road sweepers have worked on numerous projects in the past including the M1, M3, M7 Upgrade Projects, Motorway Apple Service Stations and Dublin Airport. Copyright © 2017. All Rights Reserved. Ryan Road Planing Services.